At the heart of Brad Anderson's political thriller Beirut is an ex-diplomat pushed into serving as negotiator to help secure the release of a kidnapped friend. 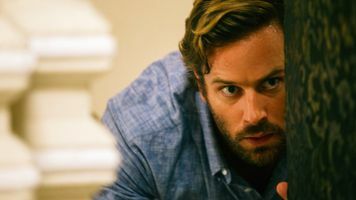 Mason Skiles (Jon Hamm), who worked in Beirut before the Lebanese Civil War, is brought back because of his personal ties to the victim and his knowledge of the culture. Once there, however, Skiles discovers a very different world from the one he left a decade ago. 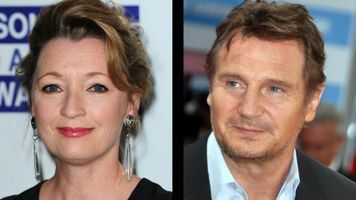 Working with his "cultural attaché" Sandy Crowder (Rosamund Pike), Skiles must navigate a political landscape in which no one shows their real intentions and every demand hides an ulterior motive. In 1991, a producer who used to be a CIA analyst inspired Tony Gilroy to embark upon the screenplay for Beirut. 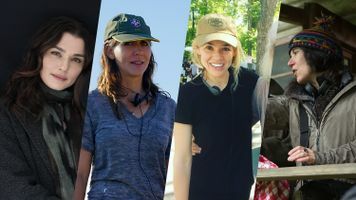 For the story, Gilroy "wanted to put a negotiator in a historical setting where it could feel true to life without actually being a true story." 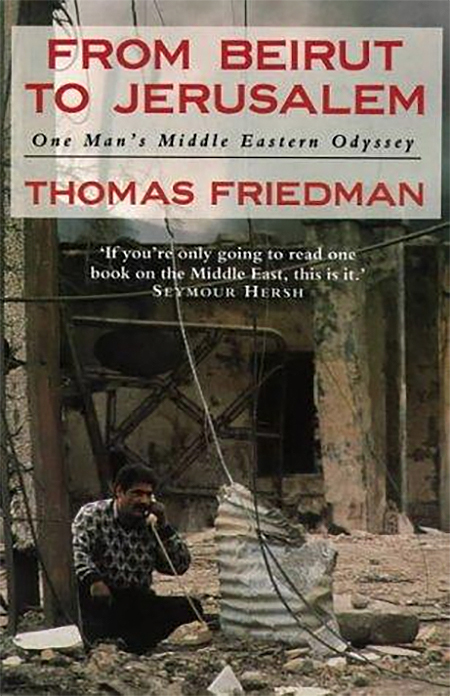 At the time, Thomas L. Friedman's recently published memoir From Beirut to Jerusalem opened Gilroy's eyes to the immensely complex reality of the conflict in Lebanon. 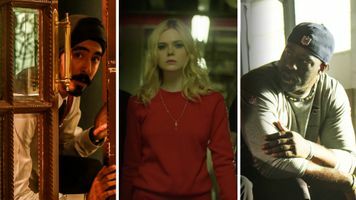 Studying a number of historical accounts, Gilroy crafted a taut thriller that captured the spirit of Beirut's tangled political reality without actually being about any specific event. While the events in Beirut are completely fictional, Lebanon did experience a wave of abductions during this time, kidnappings that profoundly shook the nation and the people who lived there. From 1982 to 1992, 104 foreigners—mostly American and Western European—were taken hostage. While most were released, sometimes years afterwards, at least eight died in captivity. A few like CIA Station Chief William Buckley were overtly political targets. Most were journalists, academics, officials working with charitable organizations, and clergy—people often sympathetic to the cause of the people who kidnapped them. While questions still abound about why the kidnappings occurred and who was most responsible, what is beyond doubt is the sense of helplessness they engendered in the Westerners living in Beirut. Looking back years later, Charles Glass, a television reporter who was abducted in 1987—and escaped 62 days later—couldn't help but see his tragedy as part of larger historical drama. 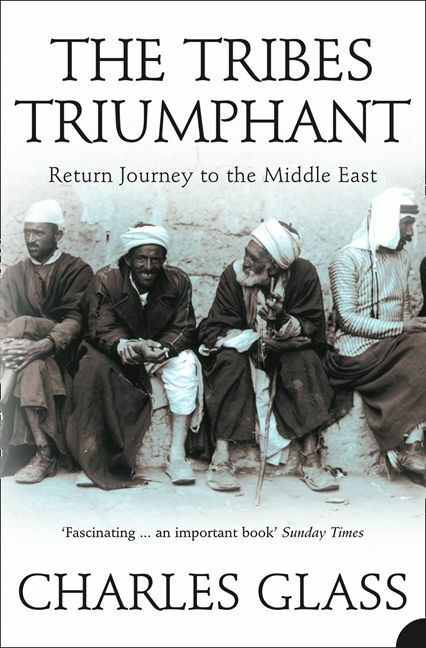 "My kidnapping was but a small incident in the battle by the country's poorest and most backward sect, the Shiite Muslims, to keep the Western world at bay," he wrote in his memoir The Tribes Triumphant: Return Journey to the Middle East. When it became clear the kidnappers were not targeting only political figures, many Americans and Europeans were forced to reconsider why they were in Beirut. In his memoir From Beirut to Jerusalem, Friedman considers how the city—and his job as a reporter—changed drastically after colleagues like CNN's Jeremy Levin were taken. "After the kidnappings began in Beirut, I acquired a healthy respect for how little I had really penetrated the place," Friedman writes, adding, "I gained an equally healthy respect for the notion that the real story is often found not in the noise but in the silence—and that is why it is so often missed." In Pity the Nation: The Abduction of Lebanon, Robert Fisk, then a reporter for The Times, remembers, "Every assignment would now be attended by an added fear. When we were not trying to avoid incoming shellfire, we were watching for mysterious cars, for Mercedes limousines with curtains over the back windows, for bearded drivers, Hezbollah signs, Iranian flags." The legacy of the hostages is now recorded in a number of powerful memoirs. Personal stories—from Terry Anderson's Den of Lions to Brian Keenan's An Evil Cradling to Terry Waite's Taken on Trust—brought a human voice and perspective to the headlines. But the tragedy of these events often reverberated into the future. In her book The Hostage's Daughter: A Story of Family, Madness, and the Middle East, Sulome Anderson, the daughter of Terry Anderson, explains how her father's ordeal pushed her as a writer and journalist to return to Beirut to explore the "legacy of trauma I was born with and how it led me to ask questions about the events that shaped my life." While historians often consider Hezbollah and Iran as the two most significant agents behind the kidnappings—a charge Hezbollah denies—at the time, it was hard to determine who was responsible for what. Part of the historical confusion comes from the fact that many of the groups that claimed responsibility were simply proxy factions for larger geo-political agents. The other problem is many of the kidnappers' demands—when there were any—were often too general to ascribe to a particular group. One of the hostages, American University of Beirut president David Dodge, who was abducted in 1982, was used to bargain for the release of four Iranians who were supposedly being held by a Lebanese Christian militia. When the prisoners could not be found, Iran eventually released Dodge. At other times, entire national agendas were pinned to specific hostages. When Presbyterian minister Benjamin Weir was grabbed off the street in 1984, his wife (who was with him at the time) explained in Robin Wright's Sacred Rage: The Wrath of Militant Islam, "I don't think my husband's kidnapping was a personal act against him. He's been kept because of our policies." Occasionally, external events could tragically change the outcome of a kidnapping. Several weeks after two British academics, Leigh Douglas and Philip Padfield, were abducted, U.S. forces ordered a retaliatory bombing in Libya for an unrelated matter. Soon after that Douglas and Padfield, along with American Peter Kilburn, were found shot to death. A group associated with the international terrorist Abu Nidal later claimed responsibility for their deaths, citing the Libyan bombings as their motive. Attempting to secure the release of hostages often proved a house of mirrors for negotiators. First, it was nearly impossible to know who was really behind any particular abduction, or if the people claiming responsibility were serious. United Nations' Deputy U.N. Secretary General Giandomenico Picco handled a range of negotiations, helping secure the release in 1991 of several high-profile hostages, including Terry Anderson (taken in 1985), John McCarthy (taken in 1986) and Jackie Mann (taken in 1989). 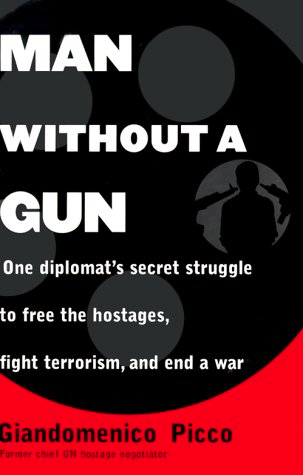 In his book Man Without a Gun, Picco details the house-of-cards negotiations with kidnappers and their proxies, as well as other nations that might be involved. In his efforts to secure the release of hostage, Picco would often allow himself to be taken captive. At the mercy of strangers who had a reputation for unpredictable violence, Picco had to constantly remind himself of his primary purpose. "My idea of undertaking a rescue operation for the hostages, my request to meet with the kidnappers, my determination to do so whatever the cost, all had been personal decisions that nobody had forced me in or instructed me to make," Picco remembers thinking as he was grabbed off the street and shoved into a kidnapper's backseat. He added, "I even remembered smiling to myself for a moment as my face was being squeezed against the floor of the car."